In this day and age, putting your business online is one way to get your business booming. Like Bill Gates said, “If your business is not on the Internet, then your business will be out of business.” If you are one of those local business owners who provide various services, having an optimized, all-device friendly website can help up your ranking in search engine results. If you are here, then you must already know about SEO and its importance. You may have encountered various sites like internet business webmarketing123.com and read some info about digital marketing. You may be at a point in which you want to learn all you can about SEO—especially the role it plays in local services. Before you take any SEO digital marketing course, there are things you need to know so you won’t get overwhelmed with the amount of information that may get thrown towards you. 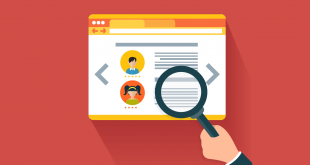 You may find millions of courses, YouTube videos, or blogs online about SEO that are available for free, but they’re not always very reliable. Yes, you won’t have to spend money on these, but they will consume a lot of your time. You will need to determine which ones are the most dependable. If you have no previous knowledge, you may experience a little difficulty analyzing which of those is better suited to your goals and skill set. If you are not thrilled with the idea of starting from nothing and then building your knowledge, you can always opt for SEO services that will help your business. Not everyone has the will to become an expert in SEO, which is why agencies and consulting groups are very helpful for many businesses. However, learning SEO digital marketing is a skill that will prove to be worth it in the long run for your internet business. If you do decide to enroll in an online SEO digital marketing course, here’s what you can expect to learn from it. Expect that you will encounter the term link building in these courses. It is the most important factor that will help put your website on the top results in search engines. From nofollow links to dofollow links and backlinks, you will need to incorporate these to your site’s content. A right balance between nofollow and dofollow links helps in making your website ranking seem more organic and natural. Keywords are what make people discover your site. When they type something into the search engine, it means that they intend to engage in whatever it is they are looking for. So, if you are providing local services, it will be helpful if you use localized keywords so people in your area can know about the nearest local service. In a SEO digital marketing course, you will also learn that the overuse of keywords won’t do any good for your ranking. Most of the time, people do their research before purchasing anything they find online. They need thorough information about the kind of services you provide. If you are an expert in your field, that’s great, but you need to convince your potential customers that you are what they need. Your content must catch their attention. Your site should contain helpful info about your services and the kind of discounts and promos you offer. You will learn more about search engines and how they work in your SEO digital marketing online courses. By getting to know more about the very thing that puts you on the higher rankings, you’ll soon find out the best strategies to help it work in your favor. As a business owner, you know that there are people who are in the same business as you. 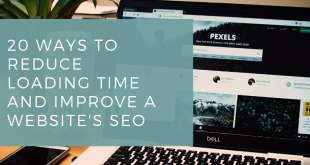 While doing the best you can in using the right keywords or adding the most useful links, your ranking will still be affected by how good your competitor is in optimizing their site. If your competition is strong with more high-quality backlinks, you’ll find it hard to outrank them. That’s where a SEO digital marketing course for local services comes in—a good course provider should be able to assist you in developing a plan that will allow you to outsmart and outrank your competition. This was just a bit of insight into the world of SEO. The industry is fast-paced, and it is a continuous learning process. You need to be able to keep up with the changes in algorithms and the like. As with most topics in digital marketing, it is not enough to thrive with whatever knowledge you learned in the past. There may not be significant changes every day, but there will be updates in the field from time to time. If you’re new to SEO or want to improve yours for local services, look for a SEO digital marketing course today. Previous Why You Should Invest in SEO Services?